I did not have a tablescape prepared for today, but I got an email from her site letting me know there was a new posting today. 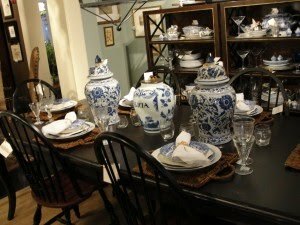 I was so pleased to find it was about tablesetting. 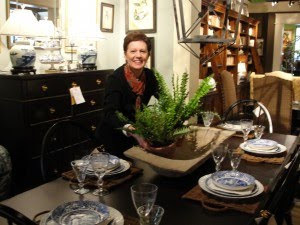 She and her staff offer great tips on how to set a table and centerpiece. Yes Ms. Carol you are divine!! Another divine hostess and tablesetter (is that a word?) is Susan at Between Naps on the Porch. 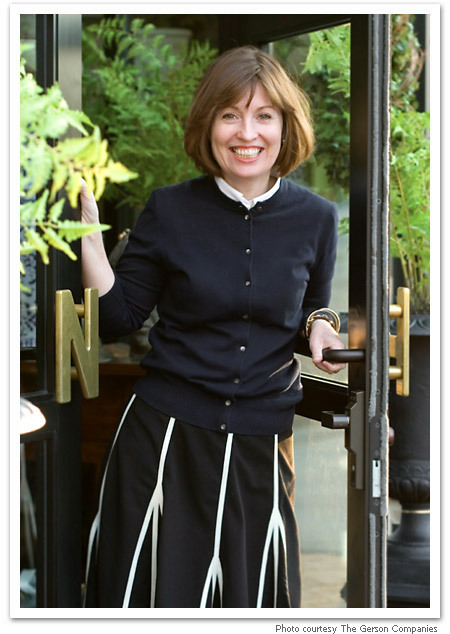 Please join her Tablescape Thursday to visit more great posts. I love Nell Hill's. 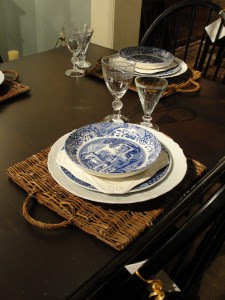 Some of the elements of my tablescape for today came from Nell's. I could spend my last dime at that store! How pretty and elegant in an unexpected way -- perfect! Lovin' the look she has here! 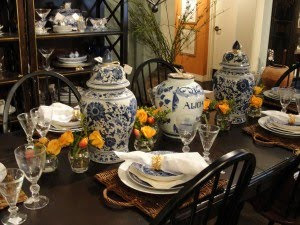 I just love Nell Hill's tablescape! And that blue and white makes my heart go pitter pat pit! Oh dear it is eloquent, I love it, my grandma had this print on her dishes and everytime I see them I do think of her, thank you for this post, it is so pretty. Thanks for the tip about the Nell Hills blog! I just subscribed -- wonderful! I have a couple of her books and reread them frequently. I would love to visit a Nell Hills shop but I can only follow through the website and books. My heart always speeds up when I see a post with pictures from the store.